Many people will say you haven’t really “seen” Grand Canyon until you’ve descended below the rim. 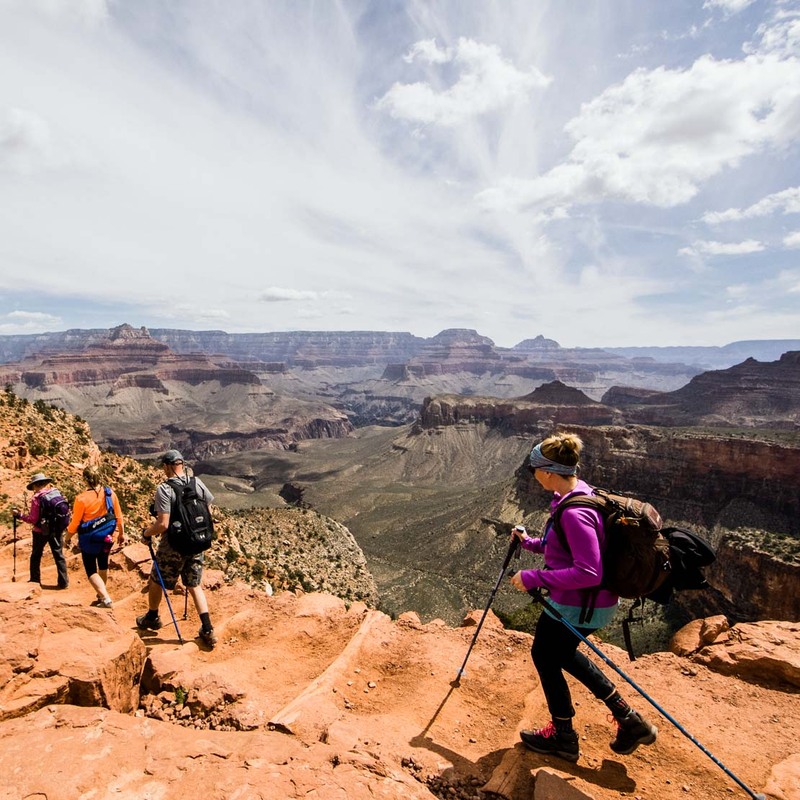 Whether you’re a seasoned backcountry adventurer or a visitor looking to see the majesty of the Canyon from a fresh view point, hiking in Grand Canyon offers incredibly scenic vistas and opportunities for exploration. Sure, you can gaze down into this legendary canyon from the top, and probably snap some neat photos while you’re at it. But imagine the possibilities that exist if you head beyond the rim and launch on an exhilarating Grand Canyon hiking adventure. 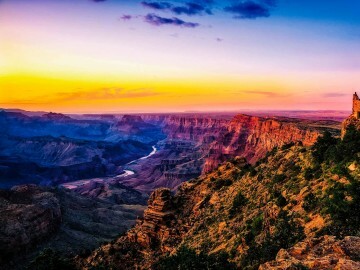 From exploring ancient Native American sites to dipping your toes in the crystalline waters of a waterfall, hiking in Grand Canyon offers an immersion in history and adventure. Now is the time to lace up those hiking boots! 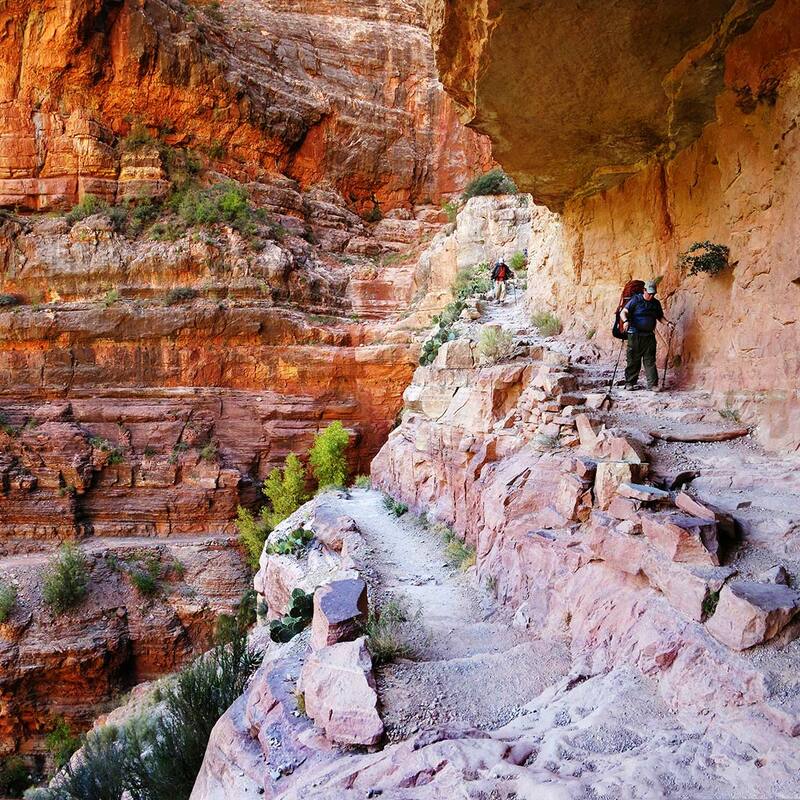 Extending 13 miles from Grand Canyon Village to Hermit’s Rest, the Rim Trail is a paved walkway for visitors looking for a spectacular view, without much elevation change. 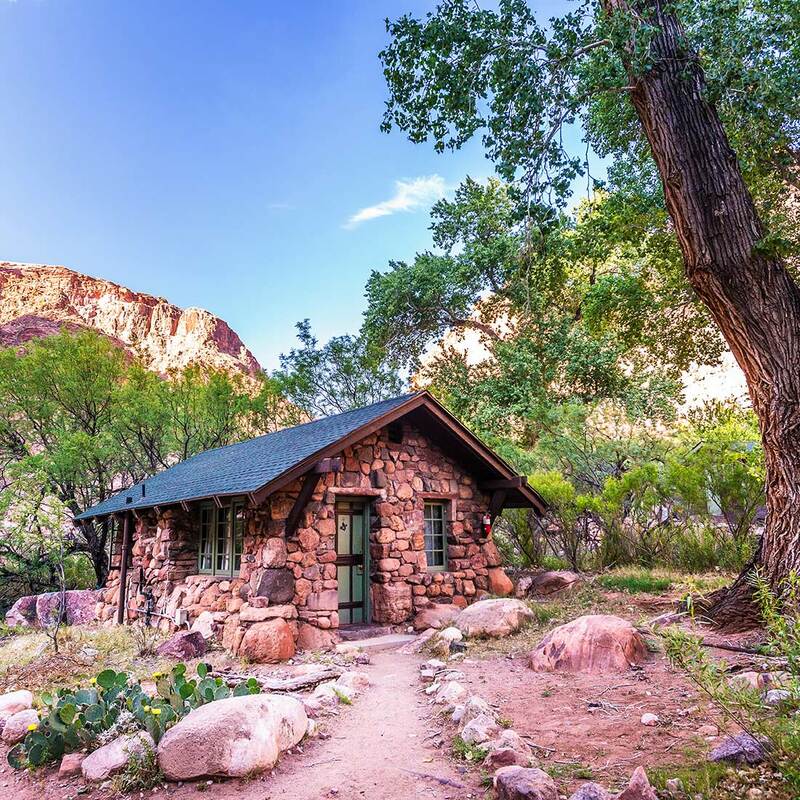 Beginning just west of the Bright Angel Lodge, the Bright Angel Trail is a steep 9.7-mile descent into the Canyon, ending on the banks of the Colorado River at Phantom Ranch. 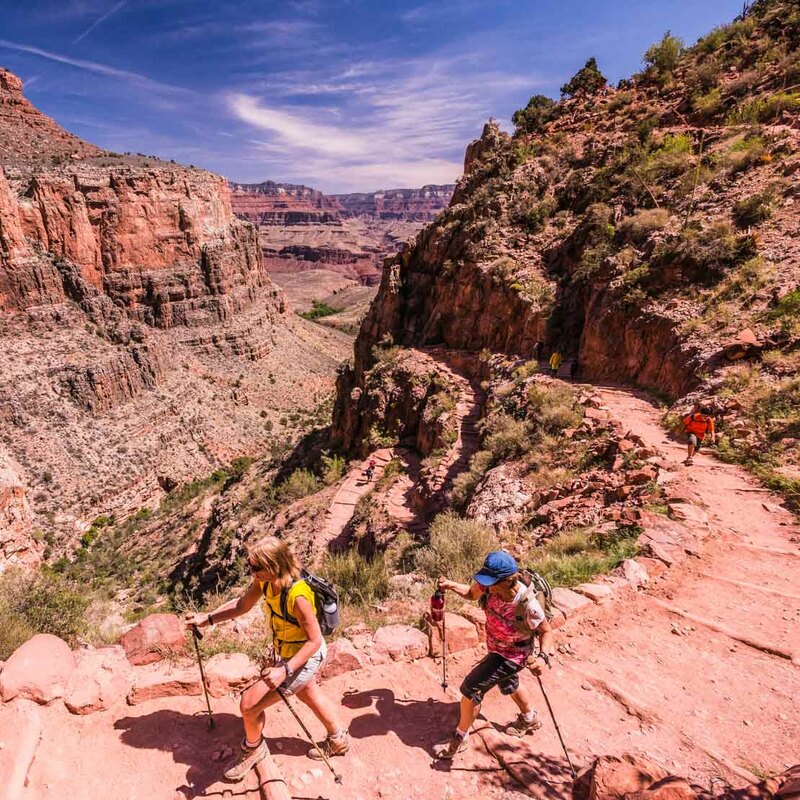 Considered one of the quickest descents down to the river from the rim, the South Kaibab Trail is 7 miles and offers some of the most sweeping views of the Canyon along the way. As the least-visited maintained trail into the Canyon, the North Kaibab Trail offers a more secluded experience with spectacular vistas and options for shorter side hikes. Extending 14 miles rim-to-river, consider spreading a round-trip hike over multiple days. 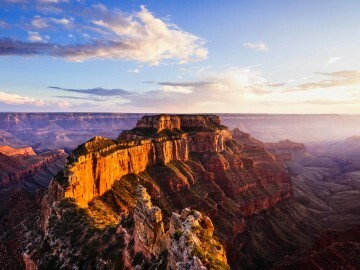 Our Rim to Rim Hiker offers the ultimate Grand Canyon hiking experience. Explore the Canyon’s amazing geologic layers and expansive vistas while hiking down the North Kaibab trail from the North Rim before heading out to the South Rim up the Bright Angel Trail. And a true bonus: you’ll enjoy two comfortably relaxing nights in the heart of Grand Canyon at the famed Phantom Ranch. Do not overestimate your fitness level. Between high altitudes, high temperatures and varied terrain, the Canyon offers magnificent, but challenging, hiking conditions. Bring lots of water. For every hour of hiking, you should be drinking between ½ – 1 quart of water. Eat a snack each time you take a drink of water. This will keep your energy and your spirits high. Break in your shoes BEFORE your hiking trip in Grand Canyon. Nothing ruins a wonderful day of exploration like sore and blistered feet. Plan your hike ahead of time, and be sure to allocate enough time for the hike out. The National Park Service recommends planning 1/3 of your time for the descent, and 2/3 of your time for the hike out.